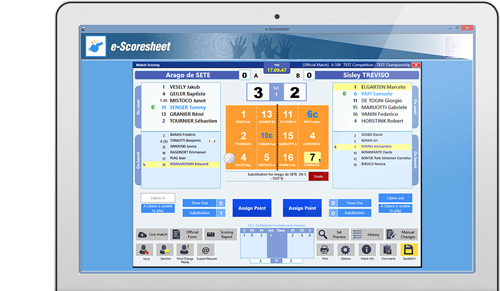 thanks to Web Competition Manager, to fill the match information and the rosters in the scoresheet and it transmits in real time the score to the Live Score. 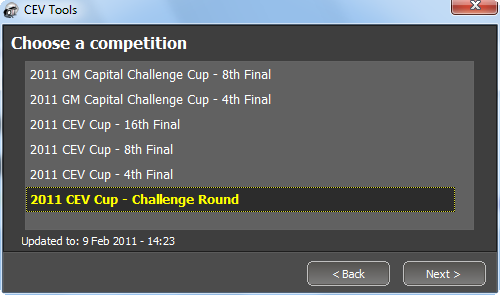 Assigns points, records timeouts and substitutions. Check the number of foreign players on the court, notes exceptional substitutions, the Libero, sanctions and injuries. At the end of the match the operator corrects eventual errors, officialize the match through his password and the ones given to the captains. Then he prints the scoresheet. 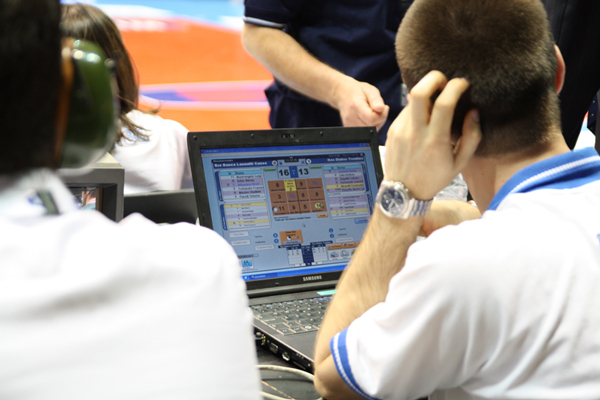 Real time transmission of the score to the website of the Federation or League. Data Video Essential, for the synchronization of the videos. 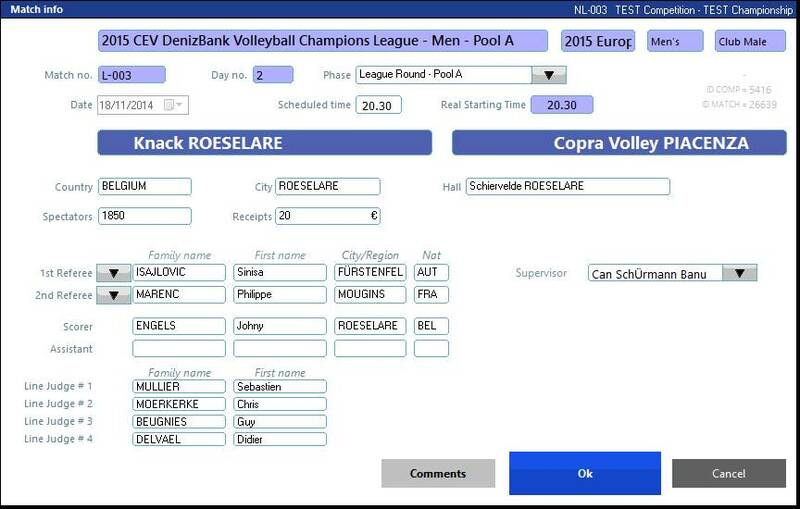 Data Volley, to read the lineups. Volleyboard e LiteScore, for the official score. Scoresheet Referee, for the second referee. TV Score, for TV graphics.